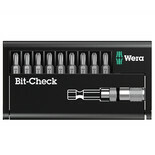 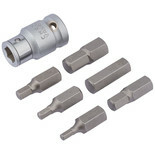 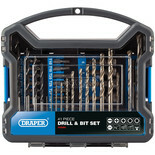 A security bit set and holder comprising a selection of 25mm long 1/4" insert security bit types. 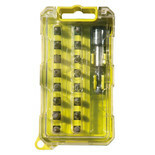 Packed in a handy plastic storage case. 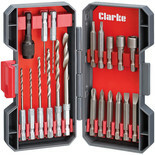 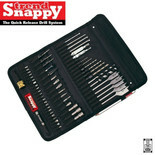 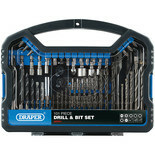 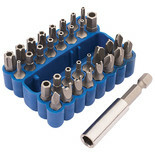 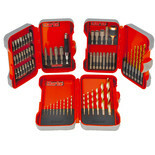 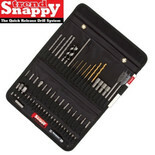 This screwdriver set contains 16 x 25mm Colour Coded Screwdriver Bits: PH 1 / 2 / 3, PZ1 / 2 / 3, SL 3 / 4 / 2 x 5, Hex 3 / 4 / 5, TX 15 / 20 / 25 and 1 x 60mm Magnetic Bit Holder. 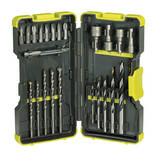 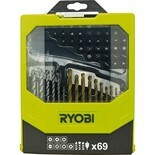 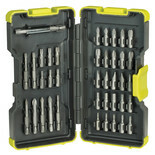 The Ryobi RAK30MIX 30 Piece mixed bit set contains a variety of drill bits, nut drivers, screwdriver bits and a magnetic bit holder.